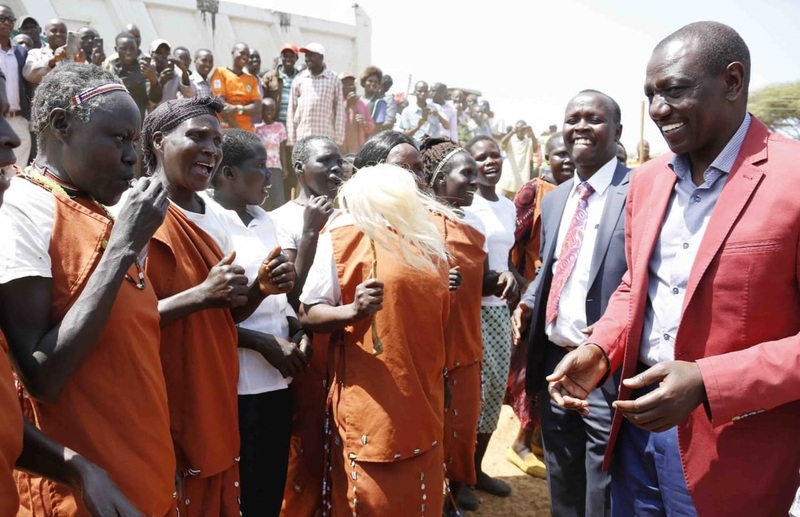 Saturday July 28, 2018 - Deputy President William Ruto was in Baringo County yesterday, the political tuff of his arch-rival and Baringo Senator, Gideon Moi. Ruto delivered goodies to residents, who in turn promised to support his future political ambitions. Those who accompanied the DP, among them Baringo North MP, William Cheptumo, Irrigation Principal Secretary, Fred Segor, Water PS, Joseph Irungu, Baringo Central MP, Joshua Kandie, Daniel Tuitoek (Mogotio) and former Tiaty MP, Asman Kamama, assured him that the Rift Valley will support his quest for Presidency in 2022. Kamama vowed to move heaven and earth to ensure Ruto is elected in 2022 and urged Gideon Moi, who is also eying the Presidency in 2022, to shelve his ambition and step aside for Ruto. “Other people from Rift Valley who are eyeing Presidency, like Gideon Moi, should forego the decision and support the Deputy President,” said Kamama.